This is a chainsaw that can rightly be called revolutionary. Corded electric chainsaws have been around for a long time. They are simple and have a fantastic power to weight ratio. Unfortunately, the only place I ever found one useful (except my backyard) was trimming up the Christmas tree inside the State Capitol. 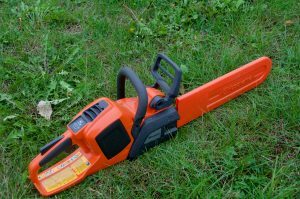 Enter the Husqvarna 14″ Battery Chainsaw LiXP. This saw has plenty of power and speed. Best of all, its battery life was far better than I expected. After an hour of fairly constant use in a local buckthorn thicket, the batter level still showed full. A spare battery would probably be enough to keep working all day. The 536 LiXP is lighter than a gas powered saw, which makes a big difference by the end of the day. While it still requires bar oil, leaving the gas can back at the truck meant less hassle moving through the woods. No gasoline means no emissions, lower maintenance costs and increased reliability. That is huge if you depend on your saw run all day every day. Gone are the days of hauling around a toolbox; I just shove a chain file and screech in my chaps and go. This saw is well balanced with low vibration for comfort. The controls are simple and easy to use because they mimic those of popular gas powered saws. Battery and bar oil level indicators are easy to read and much more convenient. The noise level is also lower than a gasoline powered saw. 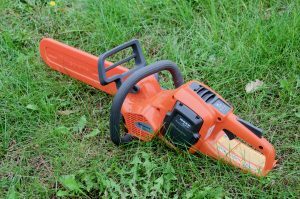 Bottom line: While this saw will not replace a farm and ranch gas powered saw with 20″ bar for felling and bucking up large trees, this is the saw you want with you in the woods if you are going to be cutting brush and limbing trees all day.